For me missions comes before teamwork, especially if it's a spotting mission. Im driving full ahead. Get killed, exit battle rinse and repeat until mission is done. And I don't care about wins, or losses. Missions first. Poor choice choice of targets by the CV driver. Why go after a AA spec DD?? I bought the Kidd for this reason. I like world of Warships, but I don't like this new CV focused meta. So I think I will hang up my Captain's hat for tier's 4 threw 10 for a few weeks to see if this foolishness persist on WG part. All Warships agree to kill the CV's first, then continue as normal. Without CV! 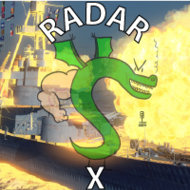 This is world of Warships, not world of warplane. Only time I play CV is for specific missions. Like the PEF one I'm on now. I need to finish before the crazy world of warplane crossover starts. After the roll out I'll never touch CV again. I won't be playing any world of warplane carrier's. Bring them on anyway because I would like to try some AA focused cruisers. Took me 57 battles to get to rank 1in the PEF. Started with the 0 point Captain worked up to a secondary, then AA build. I had no trouble punishing BB that let me in to close. You Fuso drivers need to stop going broadside, lots of citadel's. Lol. Arizona's we're the hardest to deal with. Fun ship. Yes I noticed this with my Fred and spec for AA for ranked is a nice surprise for unsuspecting CV drivers. IMHO they don't want my money. Look at the thread in support on this topic and you'll understand why. It's WG choice to use Cyprus for their banking, so it is their problem. It's not our fault that good legitimate NA banks try to shield their customes from the shady Cyprus banking system.